The Fireater is a flame inhibitor which works by saturation, particularly effective in more or less closed environments such as the engine compartment or passenger compartment of a car. 51 seconds of delivery, against the approximately 10 seconds of a 1 kg powder extinguisher. The Fireater is classified in class 8B, and can therefore be kept inside the car, since European regulations (ECE), require a minimum of class 5B. The Fireater nowadays comes from the OE supplier as Sparco stopped selling these. 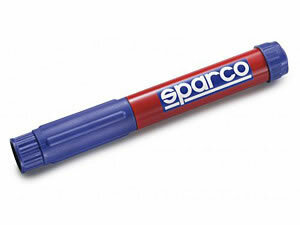 There is no Sparco sticker on these any longer.